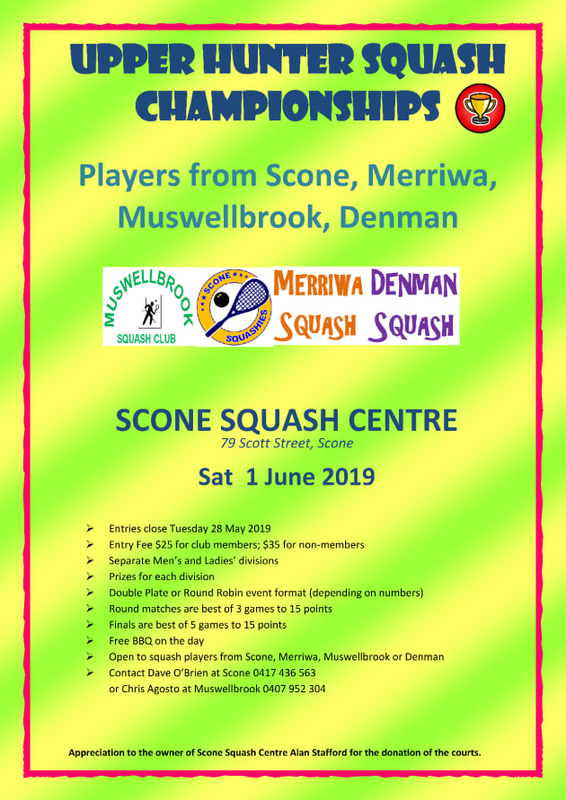 Scone Squashies is inviting all players from Scone, Merriwa, Muswellbrook & Denman to play in our squash championships. We will have separate prizes for Mens & Ladies, and within each grading. A free BBQ is provided and there should be plenty of amber refreshments available. Entry forms are available at any of the squash centres in these towns. If you have any questions, feel free to ask.